In stock. Order in the next 1 hour and it will go out today! 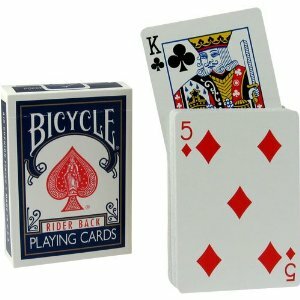 A spectator freely selects any card from the deck, it`s then remembered and replaced in the deck. The deck may then be cut by the spectator before it is either held by the magician or placed into a glass or leaned against any other object. Seemingly on command, the spectator`s freely chosen card then rises out of the deck!